I really really enjoyed this hostel. Not only was the staff super friendly, but also everyone at the hostel knows how to make you feel at home. The owner was really informative and helped map out the best places to go and what time it wasn’t crowded to enjoy. I already miss living there! HIGHLY RECOMMENDED. Excellent location and superb staff who gave great tips on things to do in Seoul. Can also book DMZ tours and other tourist things from within the hostel. Would recommend! Really great location. Room was teeny but no problem for just a place to sleep at night! Very secure and safe. Nice bathroom facilities and they have shampoo and everything you would need! Would stay again. 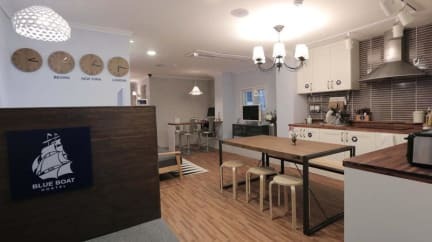 This hostel is perfectly located in popular Myeongdong in Seoul. The bathroom was really crammed with weird showers, but overall it was fine. The free breakfast was great! I would definitely stay here again. I enjoyed my stay here. The staff were welcoming and helpful. Rooms were kept clean, and bathrooms were clean as well. Great value, great location. Close to Myeondong shopping areas. Hostel was great but the beds are rock hard. 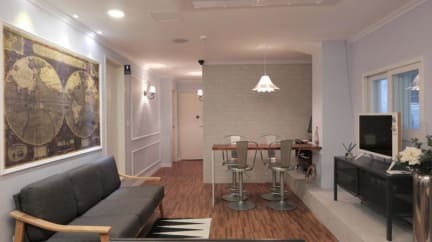 Great location.. 5 minute walk to Myeongdong train station. Very close to Myeongdong shopping area and night market. Staff is very accommodating, breakfast is a make your own food, with fresh eggs, bread and fruit juices. I've stayed here for 3 days and used it as my basecamp while exploring Seoul.